The trading range of Eur/usd is still valid right now which is 1.300 - 1.500. 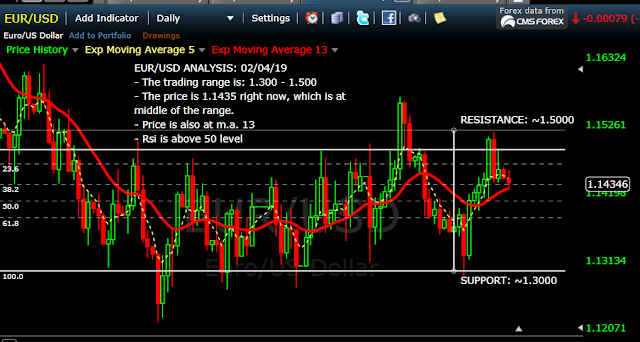 In short term, the price is at the middle of the range which has a high chance to become temporary support. If there is enough buyer, the range can break up in near term.